For those of you Finnish speakers, your moment has come. Here is a stirring, eloquent account of our epic 115-km journey to Lemmenjoki, written by none other than my partner in crime and modern-day Klaus, Annukka Rantalainen! Thank you to Seppo J. Partanen and Kultahippu for posting, and to Annukka for this great rendition. 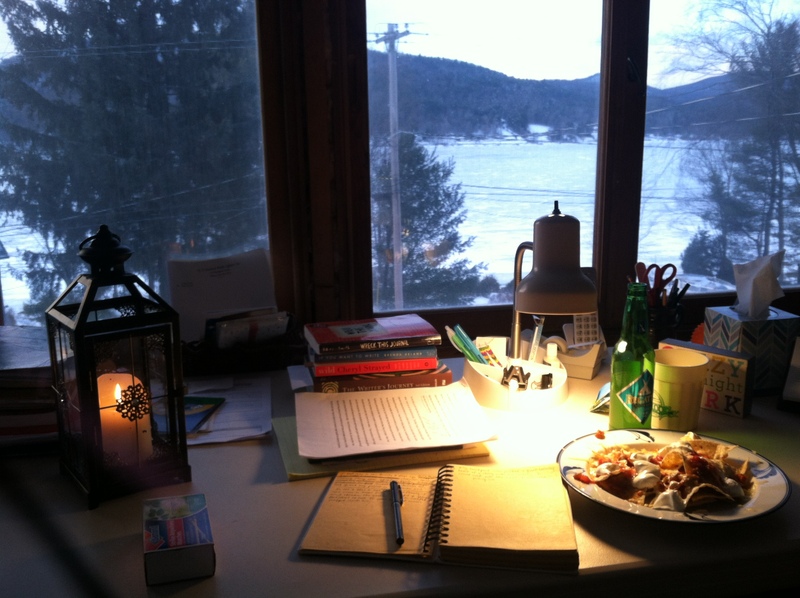 PROJECT UPDATE: I am currently based out of a snowy cabin in upstate New York, and have begun the second (and possibly more difficult) part of my journey: rendering it into words. I am working every day on becoming comfortable with discomfort without trying to fix or change things – accepting that this is not a point in my life where I should or need to feel safe, and relishing the growth I feel. It is clear that this will be a long and humbling process, full of beauty and the unexpected. I am seeking out good mentorship, trusting my capabilities, and trying to let the story drive itself. Thank you for your patience, your encouragement, and your trust in me. 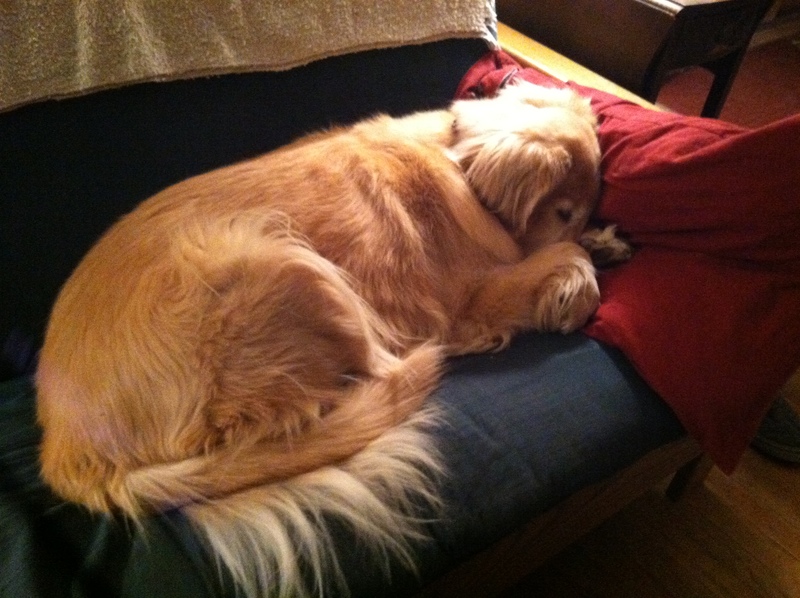 My spoiled lakeside companion Gracie the Golden Retriever: eater of sponges, nacho plates, and anything, really. Your workspace looks so cozy and beautiful!